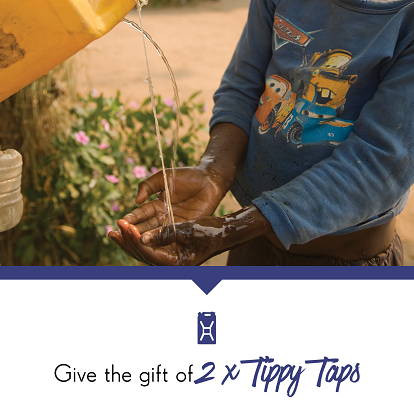 Help adults and kids alike keep their hands clean, and their bodies healthy with a tippy tap hand washing system. Tippy taps are hand-washing stations for homes that lack a sink. They’re low-cost, yet highly effective in cutting back on diseases spread by dirty hands. Tippy taps are part of FH’s efforts to cut down on the spread of disease in a community. 31-year-old mother of five, Léonie Nitunga is a farmer in Burundi. Before FH began work in her community, her children were often sick and she was forced to spend much of her small income on medication. 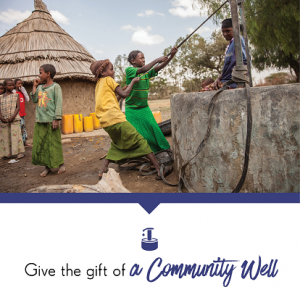 Léonie now rejoices as she has since learned better hygiene practices, including the use of a tippy tap in their family’s hand-washing station, which has improved the health and wellbeing of her family. 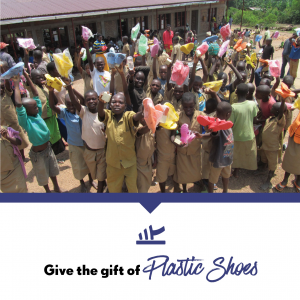 This year, Tippy Taps will be distributed to communities in Burundi.